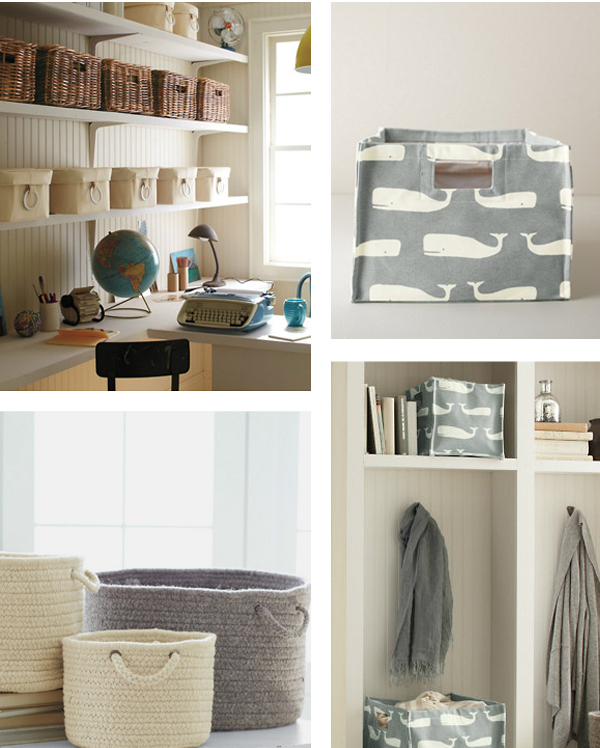 After flipping through their catalog for the first time, it's hard not to admire Garnet Hill's collection of storage bins and baskets...those cute canvas whale bins are killing me! Those whale bins are the cutest! The whale bin is super cute! Ooo just what I needed to see! My boyfriend is moving in with me this weekend and any storage inspiration is exactly what I need see! Thanks! nicely designed (and functional) storage is always awesome. great finds!